One of the major obstacles to any sort of change is your mental states ( the states that make up your metal Comfort Zone), those mental states that you habitually slip into. These states control what you think, how you feel about things, how you respond and, eventually, the way the outcome of events and the way people react to you. Now some people feel that what happens in your life controls the thoughts you are having. Your boss yelled at you so you are frustrated. You got a raise so you are happy. You and your significant other had a fight so you are mad. You started a new project and you are excited. You have to give a presentation and you are nervous. Most people feel that those responses just happen and that is it. But have you ever noticed that some people seem to bounce back while other sort of wallow in both the good and the bad feelings. Well those feelings do happen and they happen to everyone, that’s fine. 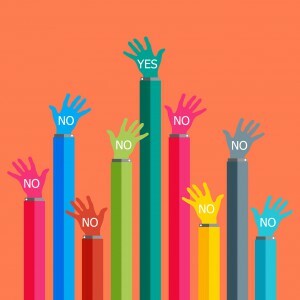 The question is… Do these responses support what you need to do? Are te responses positive or negative. If not then your responses, your response Comfort Zone, work AGAINST you. Remember your reactions control your thoughts, your thoughts control your responses to others and your actions and your responses and actions controls the way people respond to you and the outcome of events. There is the good news, you do not have to stay in that zone for very long.. Here is the really important thing: You have ultimate control of your reaction to what happens to you. So if you want to create change in your life then you will need to step out of your overall Comfort Zone and into a place that causes you some level of stress and anxiety. If your response to stress and anxiety is a thought process that is limiting then your ability to take action inside your Courage Zone is limited. You will be more likely to fail at the change you are trying to achieve. 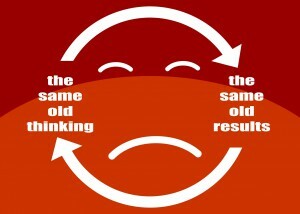 You may have already had this happen to you — remember the same old thinking gives you the same old results! What is a limiting mental state: your mind runs around in circles, excessive worry, you have lots of negative self talk, you just get sad, mad, frustrated, etc. All these states will limit your ability to move forward and make progress towards your goals. You want a positive state to reach above the negative states and pull you up!